CO2 Storage Units are at the core of what has made TOMCO Systems the world leader in CO2 solutions. 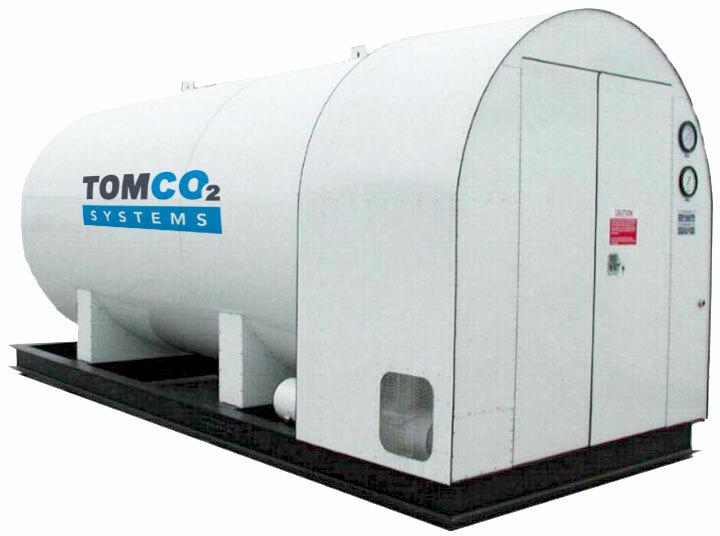 TOMCO Systems has continuously produced the most innovative, reliable and efficient CO2 equipment on the market, including horizontal and vertical CO2 tanks in many sizes to meet any facility’s CO2 requirements. TOMCO Systems consistently generates the necessary temperature and pressure management to service any application or industry. Whether urethane-insulated or vacuum-insulated units, the established quality of TOMCO Systems industrial equipment is unparalleled. When control of pressure and temperature is critical, trust the complete system solutions of the TOMCO CO2 Storage portfolio. Most economical way to store CO2. Application specific equipment for temperature, pressure, and flow rate variants. Ability to utilize refrigeration for future applications. More energy efficient for vapor withdrawals. A necessity for loop system and cylinder filling applications. Refrigerated tank eliminates the need to vent.